Strengthen and tone, sculpt and trim! 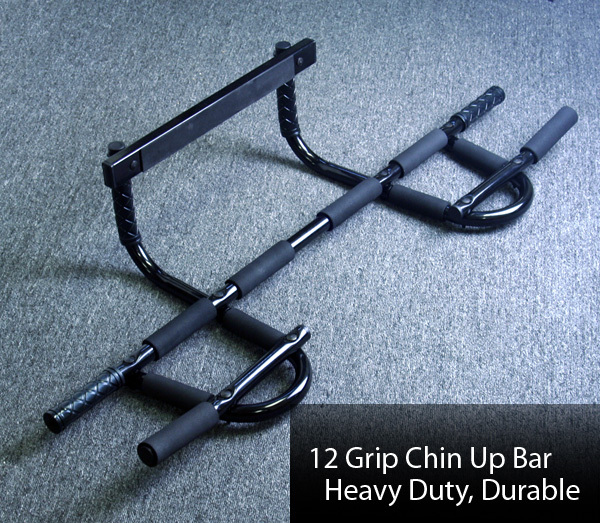 This bar allows you to do 12 different workouts including pull ups, push ups, sit ups, tricep dips, hanging crunchers (for abs) and many more. Featuring 6 different grip positions, this baris quality built for durability and comfort. This barhas been designed to fit most residential doorways 24'' to 36'' wide with 4" wall studs which have trim around the door. 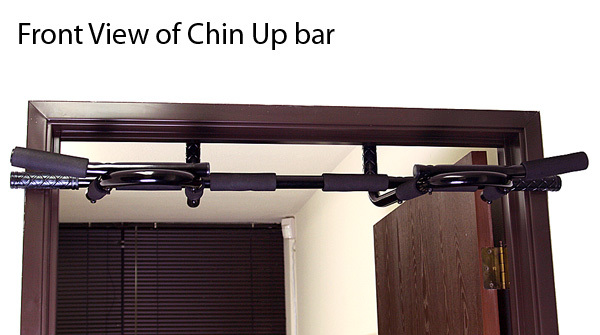 Since it fits most residential doorways this barcan be taken almost anywhere. 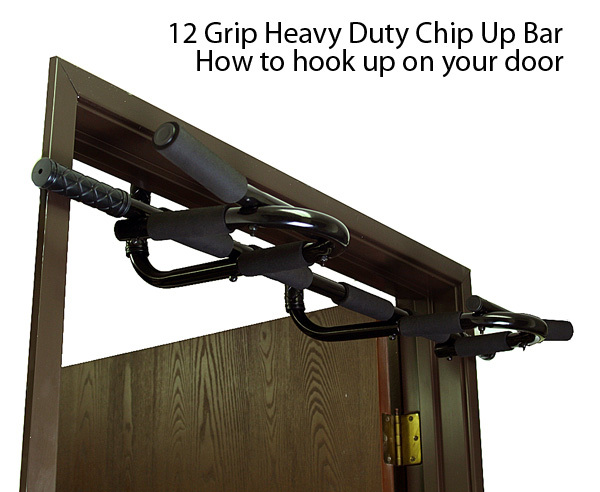 This baris also a great way to exercise your chest and arm muscles without having to attach it to the door frame. Place this baron the ground and it works as a set of push up bars, ideal for strengthening and toning the chest, shoulders and triceps. Place this barat the bottom of a door frame and it grips itself to the frame, allowing you to place your feet underneath for sit-ups, crunches and other abdominal exercises.